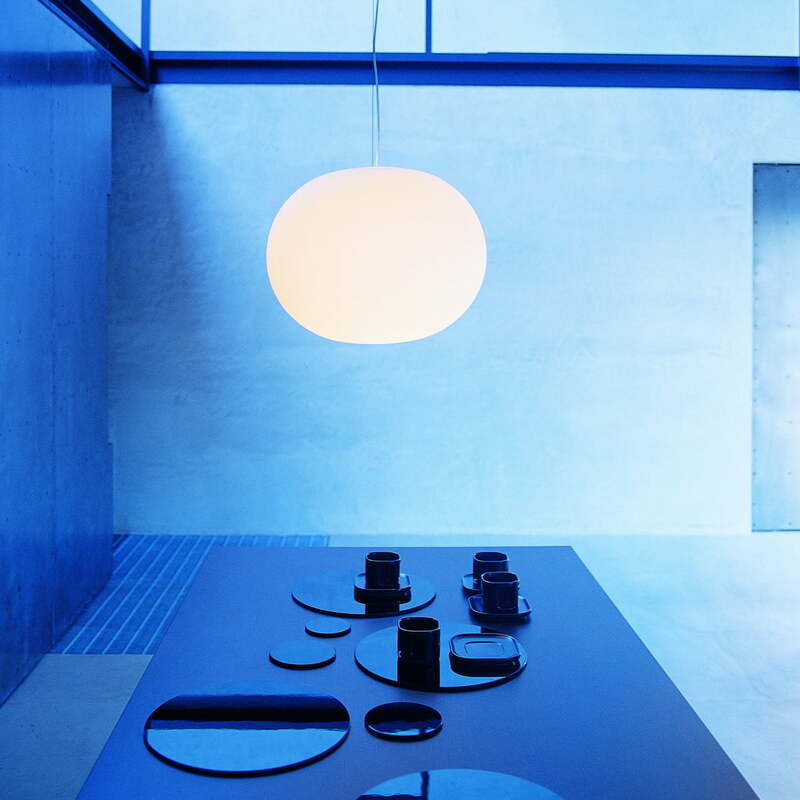 In 1998, Jasper Morrison created the Glo-Ball series for Italian light manufacturer Flos. In addition to the Glo-Ball pendant lamp seen here, the series includes the Glo-Ball table lamp, Glo-Ball Basic, the Mini Glo-Ball table lamp and the Glo-Ball floor lamp. 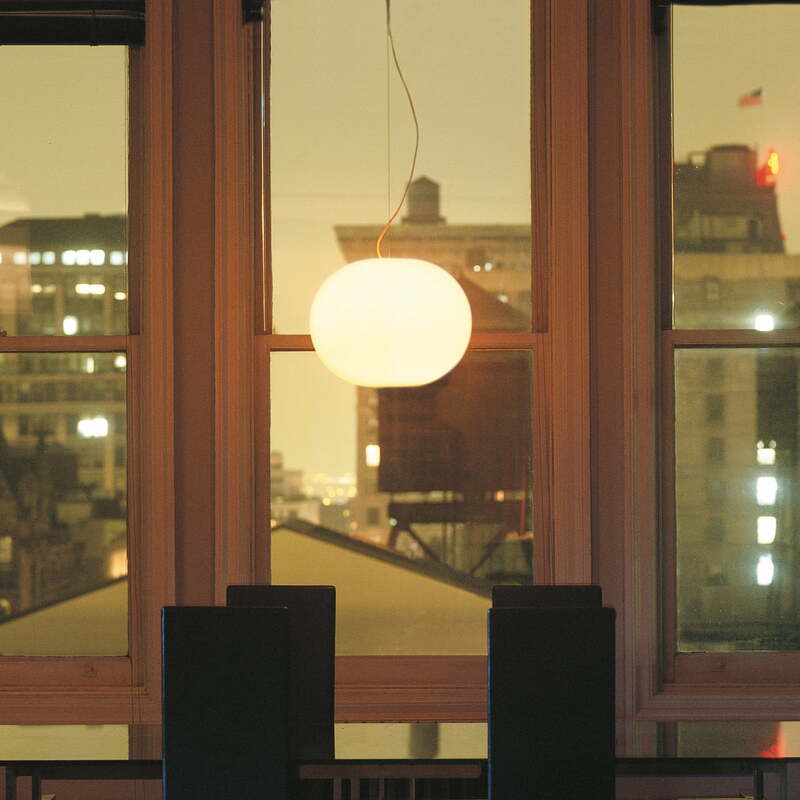 The succinct, globe-shaped lights provide an atmospheric, diffuse light. 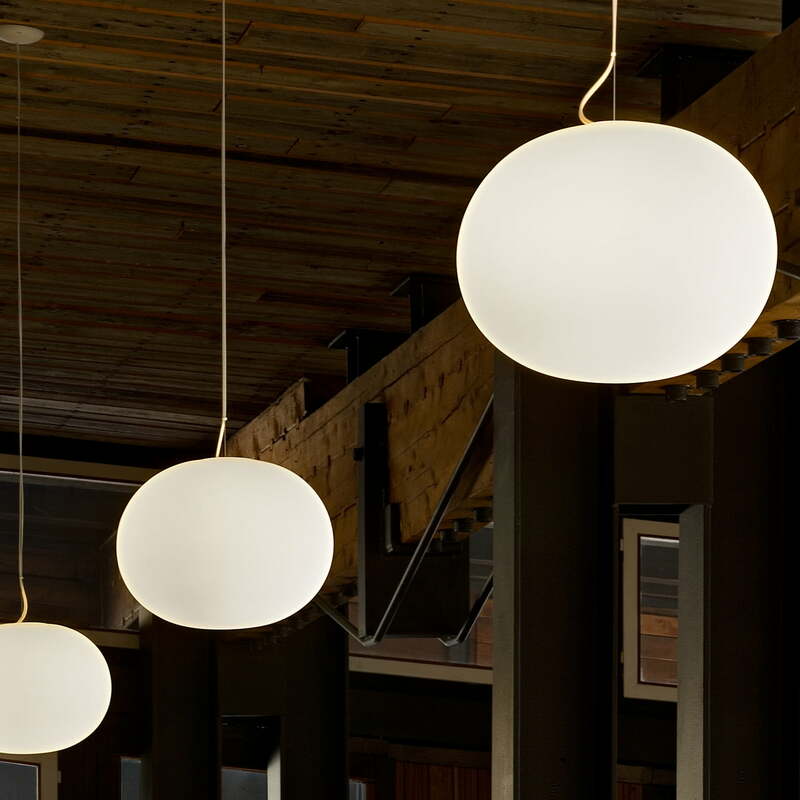 The Glo-Ball pendant lamp is available in two different sizes. Suspension lamp for diffuse light. Technical description: Diffuser out of covered opal glass, hand-blown with etched external surface. Diffuser holder out of glossy white liquid-painted steel cast. Baldachin out of 30% glass fibre reinforced, injection-moulded polyamide and ceiling mount out of zinc-plated steel cast. Suspension cable out of steel.